Christopher Steele is a shareholder in Chamberlain Hrdlicka’s Atlanta office in the Trusts & Estates Practice Group, where he serves as a trusted advisor to individuals, families, and business owners. Mr. Steele takes pride in building strong relationships with financial advisors, accounting firms, and family offices to ensure that clients receive a comprehensive approach to their planning. Mr. Steele focuses his practice on tax, trusts, and estates, handling matters including tax and estate planning, asset protection planning, and the administration of complex trusts and estates. He has experience in counseling clients on issues relating to income taxes, transfer taxes, complex wills, revocable and irrevocable trusts, grantor trusts, life insurance planning and complex gifting techniques. Additionally, Mr. Steele assists clients in the design and implementation of business succession plans, including the formation, structure, purchase and sale of corporate entities. In addition to his commitment to his clients, Mr. Steele is dedicated to furthering his profession and serving in his community. 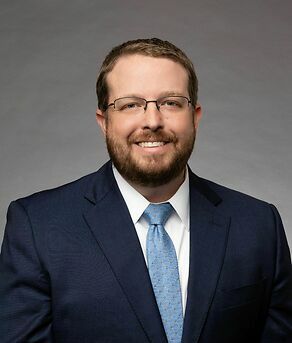 He serves as a member of the Fiduciary Law Section of the State Bar of Georgia and is a frequent speaker in the Atlanta area on topics related to trust and estate planning. Mr. Steele also serves as on the Board of Directors for Covenant Care Adoption Services, a coach for the Mercer Law School Negotiation Competition teams, and a coach for the Smyrna i9 Soccer Program.